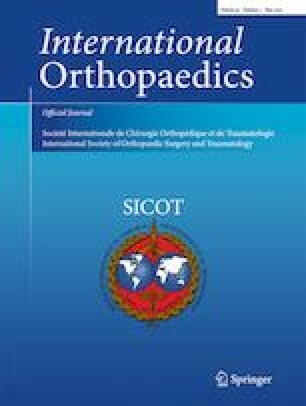 The objectives of this study were to determine the radiological outcome of a new personalized total knee arthroplasty (TKA) design and also to analyze the radiological reproducibility of the surgical technique. A total of 100 consecutive TKAs performed in 99 patients using Persona knee system were recruited. Weight-bearing standing anteroposterior and lateral radiographs were done in all the patients, both pre-operatively as well as post-operatively, and various radiological parameters were analyzed and compared. The full correction of the limb mechanical axis was achieved in 97% of patients, and the radiological parameters of coronal and sagittal alignment of femoral and tibial components showed good results. There were no substantial differences between the mean pre-operative and post-operative patellar height indices, and data were in the normal range. Posterior condylar offset (PCO) and posterior condylar offset ratio (PCOR) had increased as expected after TKA. The coverage of tibia was optimal with data in the normal range. Radiological assessment of the new personalized knee system design showed excellent results with various parameters restored to the normal values. Therefore, the prosthesis can be considered anatomic, and the surgical technique is reproducible allowing the prosthesis to be implanted easily and with high precision. Ethical Committee approval was obtained for this study. The first author (FB) is part of the design team of the implant. The other authors (MG, SMPR, EP, VT, and SP) declare that they have no conflict of interest. The study is a spontaneous observational investigation carried out by the authors.